NOTRE DAME, Ind. (CNS) — Sister Norma Pimentel, executive director of Catholic Charities of the Rio Grande Valley in Texas and a longtime advocate for immigrants and refugees, will receive the University of Notre Dame’s 2018 Laetare Medal at the school’s graduation ceremony May 20. “Jesus said, ‘When I was a stranger, you invited me in.’ Sister Norma Pimentel has given her life to welcoming Christ in the immigrant and refugee,” Holy Cross Father John I. Jenkins, Notre Dame president, said in announcing the award March 11. Sister Pimentel, a member of the Missionaries of Jesus, has overseen the charitable arm of the Diocese of Brownsville, Texas, since 2008, providing those in need in the Rio Grande Valley with emergency food and shelter, housing assistance, clinical counseling and pregnancy care. She was instrumental in organizing local response to the 2014 surge of Central Americans seeking asylum in the United States, which also included helping to establish the Humanitarian Respite Center in McAllen, Texas, providing newly arrived immigrants with food, clothing, water and a place to rest. As a daughter of Mexican immigrants, Sister Pimentel frequently crossed the border back and forth from Brownsville to Matamoros, Mexico, to be with family on both sides of the border. She was born in Texas while her parents were awaiting response from U.S. authorities on their application for residency. 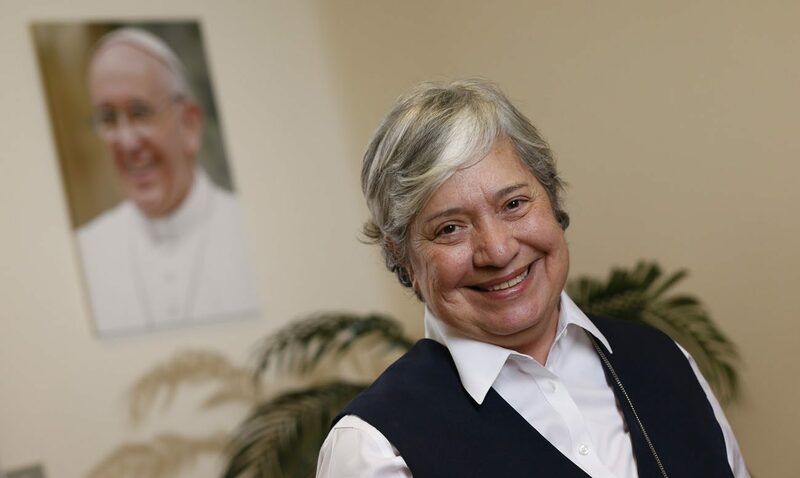 In her reflection on immigrants in the book “A Pope Francis Lexicon,” Sister Pimentel wrote: “I am a U.S. citizen by ‘chiripa’ — sheer chance,” noting that she grew up in two countries, Mexico and the United States. She received a bachelor of fine arts degree from Pan American University, a master’s degree in theology from St. Mary’s University and a master’s degree in counseling psychology from Loyola University Chicago. She has said that some of her most formative and pivotal experiences took place shortly after she professed final vows and Border Patrol agents were bringing immigrant families to the convent, often late at night. Past recipients of the award have included President John F. Kennedy, Dorothy Day, Cardinal Joseph Bernardin, Civil War Gen. William Rosecrans, labor activist Msgr. George G. Higgins, jazz composer Dave Brubeck and Jesuit Father Greg Boyle, founder and executive director of Homeboy Industries.